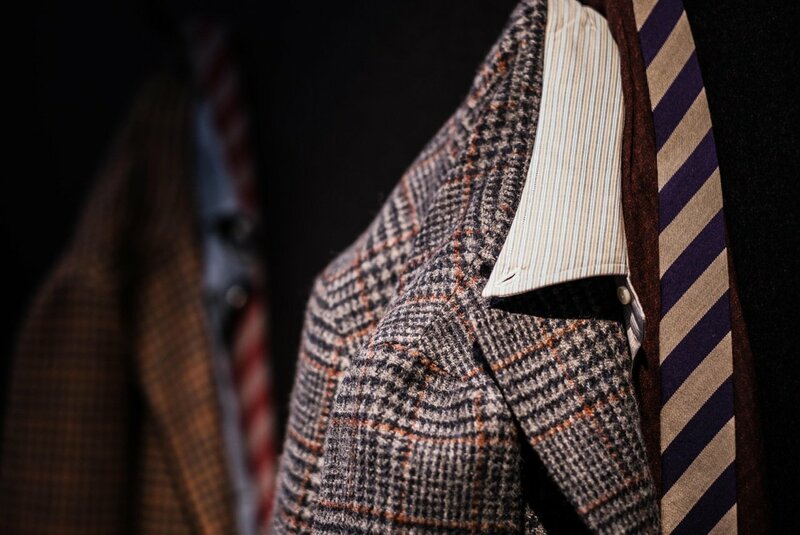 Salvatore Piccolo is best known as a Neapolitan shirt brand – his shirts and accessories are stocked in a few leading stores, including Trunk in London and United Arrows in Tokyo. But he started as a bespoke shirtmaker, learning from his mother, and still has several hundred bespoke customers around the world. Although RTW clothing is growing rapidly it is still almost half of the business. I am always interested in companies that do significant amounts of both bespoke and readymade, and the way each informs the other. Turnbull & Asser, for example, recently introduced a slimmer shirt whose shape was based on analysis of recent bespoke orders. The only feedback most designers get is how many units they sell in each six-month season; bespoke customers tell you exactly what their perfect shirt is, day-in day-out. Salvatore’s shirts are all made to the same specification, whether bespoke or RTW. 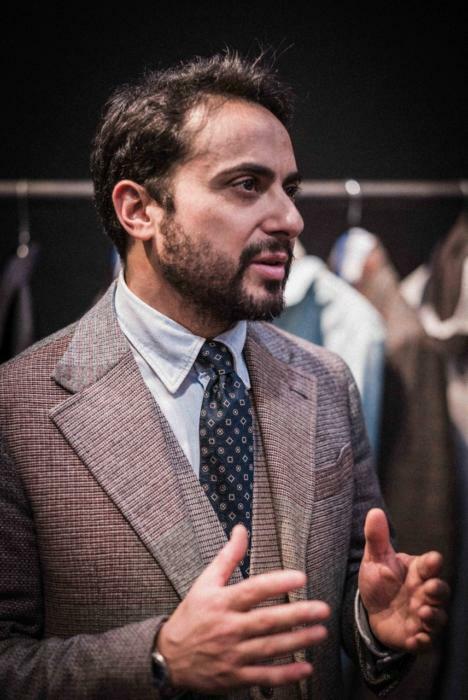 This means several aspects of handwork, about the minimum for Neapolitan bespoke: hand-attached collars, inserted sleeves, shoulder seams and buttonholes. But he also adds in little points that he has learnt from bespoke orders. The sleeves, for example, all have a little tuck in the inside of the elbow so they are slightly bent. It’s a tiny thing, but it makes sense: you rarely hold your arms dead straight. 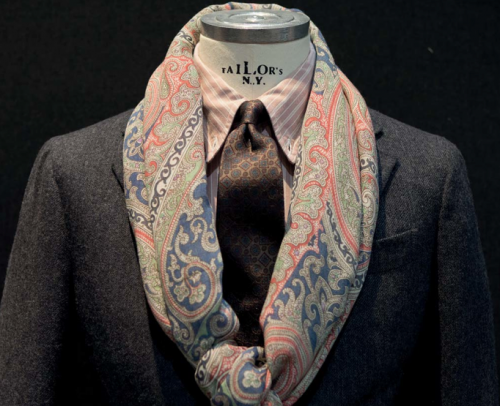 Aside from the bespoke influence, Salvatore’s biggest strength is his depth of involvement with cloth. His Oxford shirting, for example, is made by an Italian mill that had never previously made an Oxford; they came up with an original, ultra-dry finish together. The yellow shirt above was made with a cotton that used purely yellow thread where most others mix in white – as Salvatore wanted a highly saturated effect. 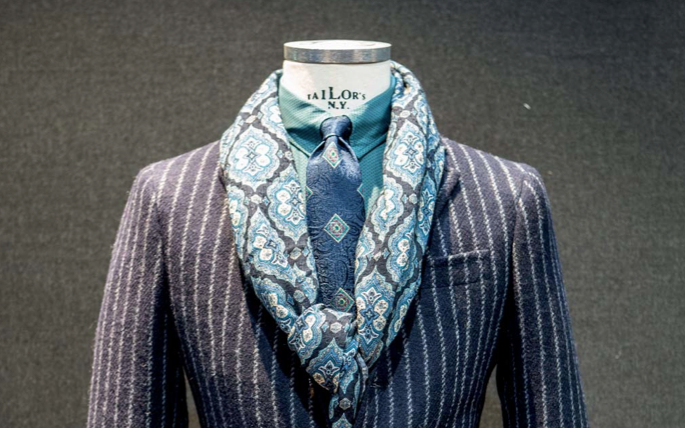 This is not quite the level of involvement of Charvet, for example, but it’s a lot more than most shirtmakers, who just pick from mill’s cloth books or occasionally design their own patterns. I also like Salvatore’s design aesthetic. Although most of the pieces are not things I would wear, they definitely have an internal consistency. I admire the whole if not the parts. 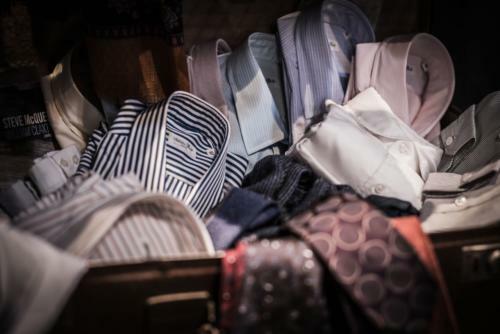 Note: Salvatore is not to be confused with Camiceria Piccolo, which is a shirting supplier in Naples that also makes bespoke shirts. Although the latter was founded by Sabatino Piccolo, its current owner is called Salvatore Piccolo as well – hence the frequent confusion. 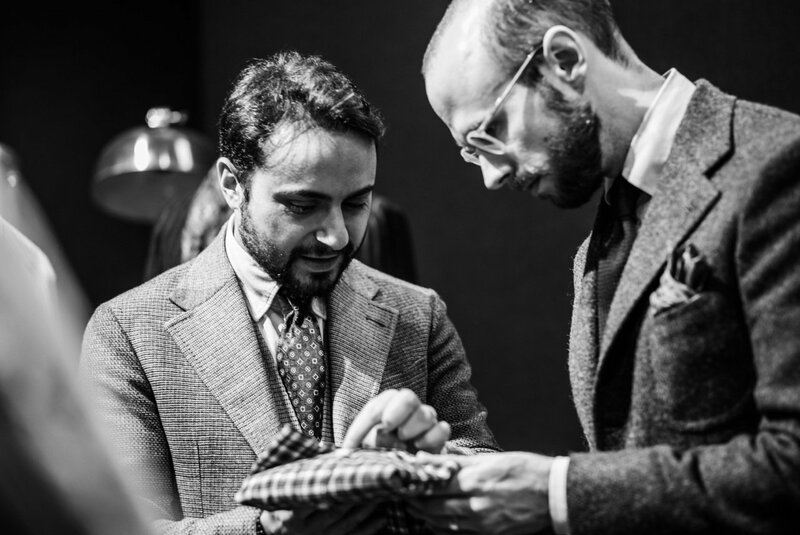 You can follow the discussion on Salvatore Piccolo – bespoke and RTW shirts by entering your email address in the box below. You will then receive an email every time a new comment is added. These will also contain a link to a page where you can stop the alerts, and remove all of your related data from the site. What would you recommend I do? I find it relatively easy sourcing my own fabrics for jacketing/suiting… but shirting is completely the opposite. Maybe a post on it? By the way to readers I would recommend both Luigi and Luca hands down, two of the most sincere people I have ever met. I have mentioned the issue to Luca before, and I know he is looking to broaden the bunches he has. But remember there will always be far fewer shirtings available in bespoke than RTW, because the mills making bunches for bespoke are selling to a smaller audience and can take fewer risks. The majority of their audience is very conservative as well. You get the same problem in suitings, but it is more acute in shirtings because it is a smaller world. Surely something wrong here. Look at his collar. It is wrinkled! Are you seriously suggesting that that is a look we should aim for? A great post about the guy I consider the future of Italian shirt making. I own few ready to wear shirts and I just love them. I have been trying to contact him for MTM but without success. Do you maybe know I I could get through him our his team? wrinkled unbuttoned button down with a tie ? call the fashion police ! Just watched your interview on Gentlemans Gazette and picked up on your comments about Italian shirt collar construction in the round. I’ve lost count of the number of shirts I’ve donated to good causes after one wear because I was unhappy with the way a collar sat when open. I’m going to assume that Salvatore Piccolo shirts at Trunk will go some way to getting around this and I’ll give them a try but can you point me in the direction of any other Italian makers of RTW or MTM for comparison? 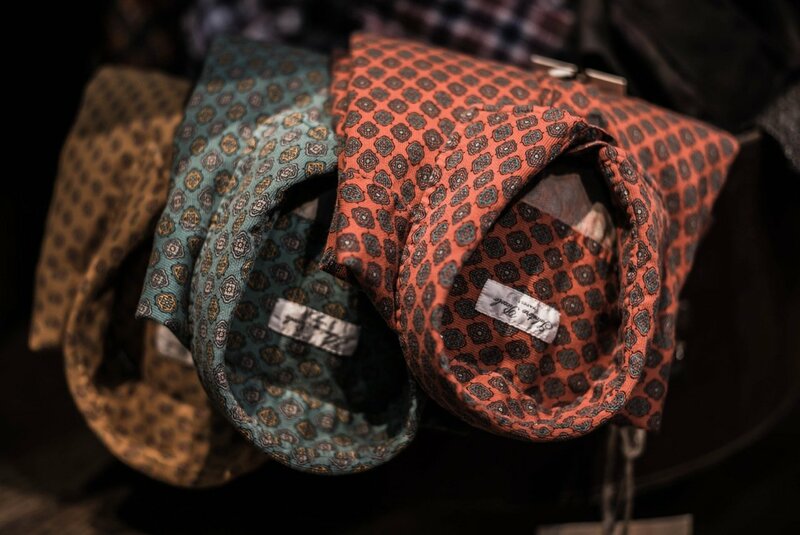 As I rarely need to wear a tie I’d love to find a shirt I can buy regularly with the knowledge that the collar will always fall open nicely and look great. Hi Simon, do you know if Salvatore Piccolo is due to visit London anytime in the near future? If you wear your jacket undone that much Timofey, there's far less point having it made bespoke. A lot of the delicate work around getting a beautiful fit will be lost.